What is The RHRLI Edge? There are a few things that are more personal than undergoing a medical procedure and if the procedure is a hair transplant, that can be as personal as it gets. At RHRLI, we know you’re going to be somewhat apprehensive about your hair restoration procedure which is why we’re committed to creating the most comfortable patient experience you can find. It’s also why we’re proud to be the only hair loss treatment center on Long Island that carries the ARTAS® System, our state-of-the-art, minimally invasive solution to hair loss. It’s all part of The RHRLI Edge. We want you to understand why we’re the area’s top choice for hair restoration. RHRLI and the ARTAS® System is a hair loss procedure unlike any other currently on the market. It is a robotic Follicular Unit Extraction (rFUE) procedure, but it’s more precise than other FUE procedures that use a handheld device. That’s because the ARTAS® robotic arm takes human error and fatigue out of your procedure, so your last hair harvest will be done with the same precision as the first one. RHRLI and ARTAS® also differ from Follicular Unit Transplantation (FUT) procedures, also known as “strip surgery.” Because ARTAS® doesn’t use scalpels and sutures, recovery times are shorter and you’ll have a new look in no time. A big part of the RHRLI Edge is making certain that all of our patients understand the ARTAS® FUE hair transplant procedure and are comfortable with it. It begins with our initial consultation where you’ll meet our board-certified surgeon, Baiju Gohil, MD. Dr. Gohil will take the time to thoroughly explain the entire ARTAS® procedure to you. He will also perform every procedure and spend the whole day with you. Dr. Gohil is a board-certified surgeon, as well as a Fellow of the American College of Surgeons. He earned his medical degree at the State University of New York at Brooklyn. He has been practicing for more than a decade and he’s assisted by our highly skilled staff. When you meet Dr. Gohil he will give you a physical exam to ensure that you’re a healthy candidate for a hair transplant. Most patients usually are able to undergo the procedure. Once you’re ready for your ARTAS® procedure, the RHRLI Edge will be very apparent. You’ll see all of our state-of-the-art equipment at our office in Jericho, Long Island and we’ll do everything we can to make sure that you’re comfortable during the procedure. Dr. Gohil will use the robotic arm to find healthy donor hair and transplant them to where they’re needed. When you’re done, there will be minimal recovery time. Because there’s minimal scarring, you can wear your hair the way you want it. According to Dr. Gohil, most patients report little to no pain following the ARTAS® procedure. Patients can usually return to their normal lives in just a few days. There’s no other treatment for hair loss quite like ARTAS® and no hair restoration center like RHRLI. 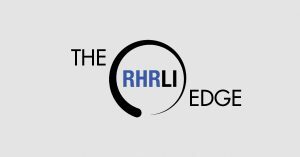 To find out more about the RHRLI Edge, contact us today.